Don’t sent a email! otherwise they have your email address for more scam/spam! Thank you Mr. de Groot! btw: is that groot as in the galaxy of the guardians? Or baby de groot? They are always available, you can order them in Back-Order. Just please your order and Gaël will sent them when he’s back. I hope soon to add some more info. This FingerStarterKit is including a Hall-Sensor option, which can detect a “touch” from the finger. I’ll check it out once I build the original finger. Thank you for your hard work! You need to mound the Rob Rings under the servo-pulley ! Thanks Martin, I seem to have missed the obvious . 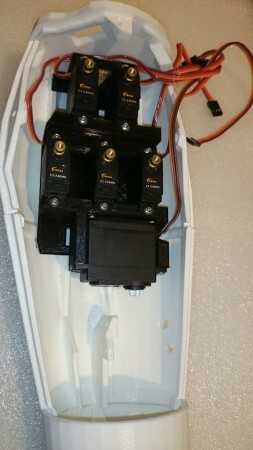 The servo is mounted with two screws to the blue part. the blue part has the option to slide in the light grey part. Nice build and all looks good. BTW, Welcome to the InMoovers ! I bet I know what is at the top of his Christmas list —- Arms! I want a video of how good he is with his sword – half the christmas tree with a single swipe? MRL is (in my eye’s) much stronger/faster then Arduino IDE/Boards itself. It’s running at a faster system then a single Aduino board, so there are much more options possible. And the InMoov is a default Robot in MRL which is cool and more easy for beginners. nice to see you are working on this. can’t really see from the picture how the servo will be able to move. is it mounted on the blue part? but then it would need 2 screw holes on each side in the blue part? and just realize that I do not know what servo make/type you are using. 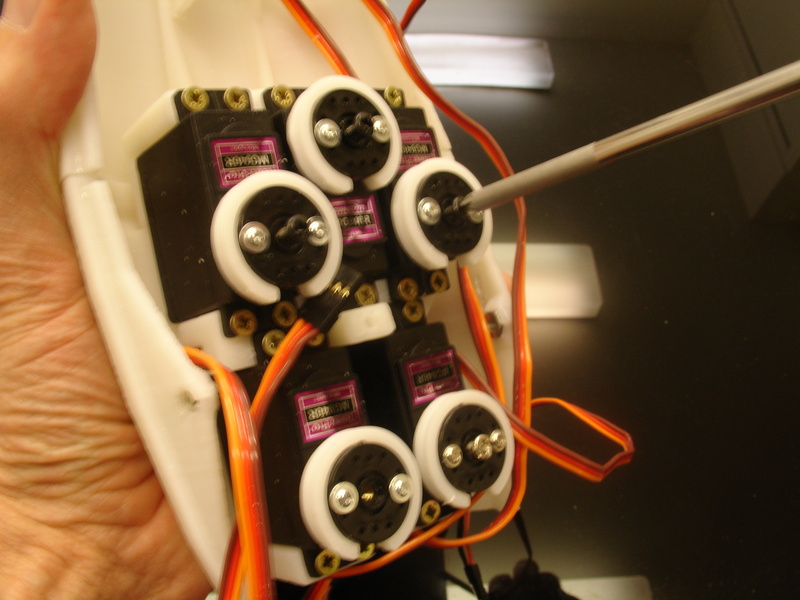 I like to include the FSR (Force Sensitive Sensor) to all my finger servo’s. 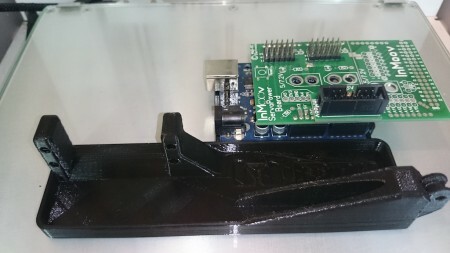 For the starter_kit I’ve re-designed some servo adapter things, to make it possible to slide the servo forwards/backwards. Next step, is the position-holder for the FSR. Can you measure for me the open value and the closed value from the sensor ? The NervoBoard has the option to solder one at the sensor side. You need a 8-pin version (with seven resistors). 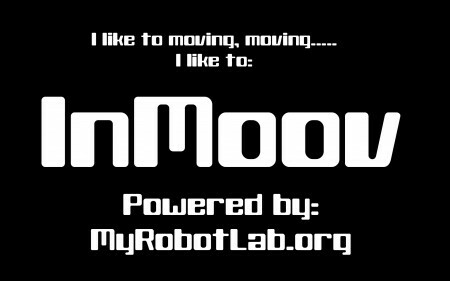 I like to remind you, it\’s not aloud to use the InMoov in a commercial way ! I apologize. How can i edit the post? You can’t, this is not an active functionnality. And are you happy with the mechanical results ? Thanks Marten. I like it a lot. There is still a bit of tuning to do but the geometries are good and the wrist rotation is solid. I may still put an inline tension spring in place but not sure. Time will tell if it is needed. CollorFabb PLA is good material anyway. 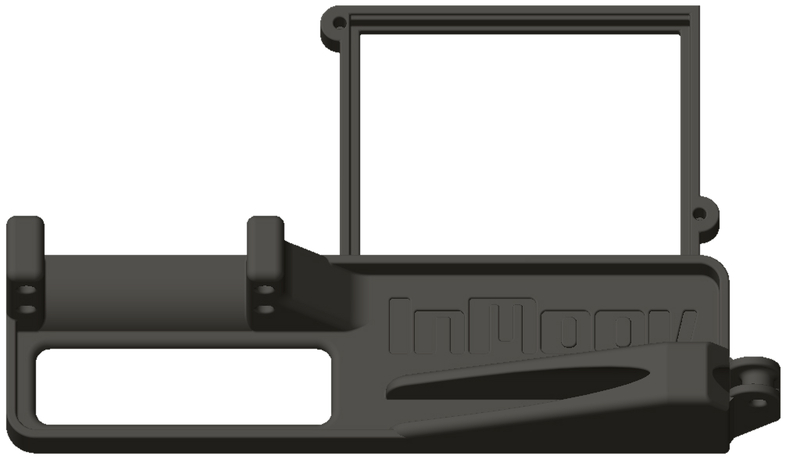 XT can handle a higher temp when it\’s printed, this part is a positive thing if InMoof stays for a long day in sunlight. I get lucky to live in the Netherlands, the shipping costs are free when I order one spool. And with the 2.2kg spools it’s 30% less in price. I’m sure I need to play with some settings (temps and max speed). 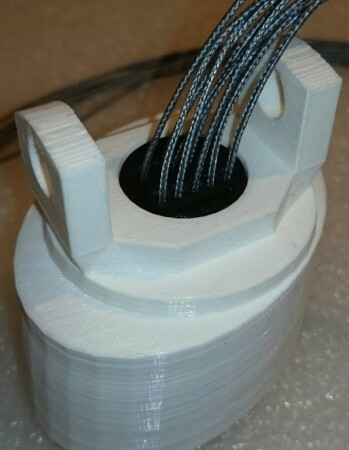 XT can handle a higher temp when it’s printed, this part is a positive thing if InMoof stays for a long day in sunlight. Before I can start with my complete InMoov, I need to upgrade my UM2 filament spool-holder. Not sure if XT filament is the right choice for some mechanical parts. yep… Colorfabb is great stuff, iv tried every brand/type out there ,, i do a lot of printing,,, In Australia i use “Blueprinted” filaments which is pretty good quality for a cheap filament Colorfabb is hard to get here and its bloody expensive..
It\’s nice to see your idea about this. I think I will see your complete setup tomorrow, I hope it works well and I can\’t wait to see a video ! 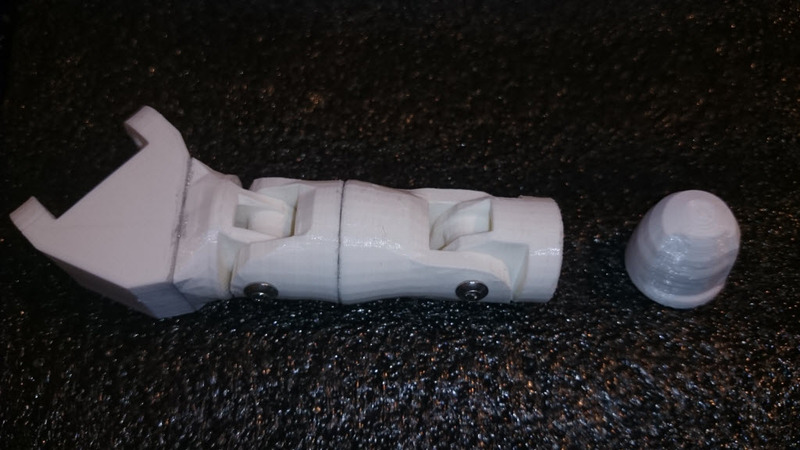 The new printed shaft fits well and it looks that it can handle the rotation. Nice. I am printing up my version now. See my post above. This is certainly getting along well !! Following your progress from close by, Marten! How about you, any progress with your \”Right\” hand ? I will test this soon and will share a video later this week. How about you, any progress with your “Right” hand ? Almost done with all the parts. Only missing the small Wrist gear. The shaft and servo adapter feels good enough for me. Just started to print all the parts. Which program(s) are you using, during re-editing Gaël\’s STL files ? 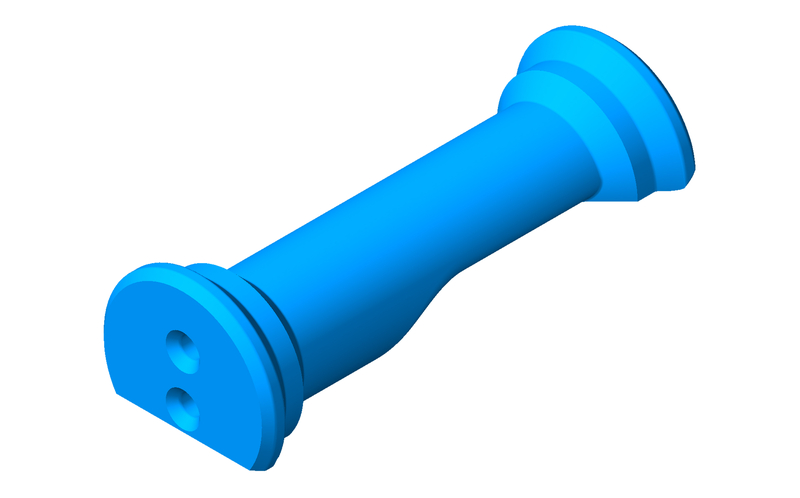 I am using Solidworks. I explained to Gael below in my thread about my back cover how I modify the STL files. 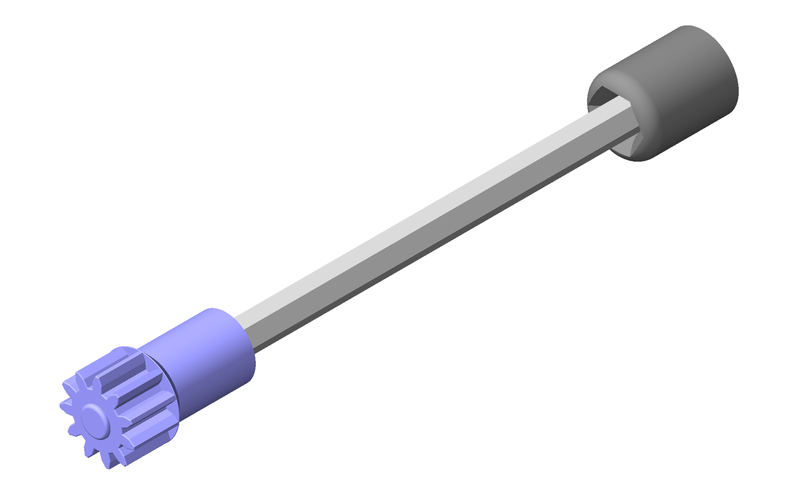 Instead of a DogBone shaft, I’ve designed a new small Wrist_Gear and servo-adapter and will use a 6mm hexagonal shaft. 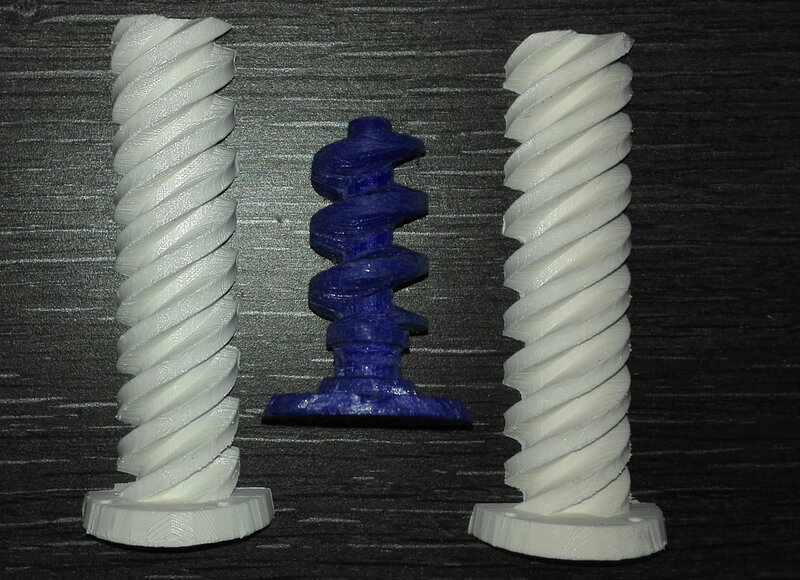 Tomorrow I will print all parts and if it works fine, I will include these parts to the Wrist upgrade set @ Thingiverse. Almost done with my design. Just waiting for filament to arrive in the mail so I can print. 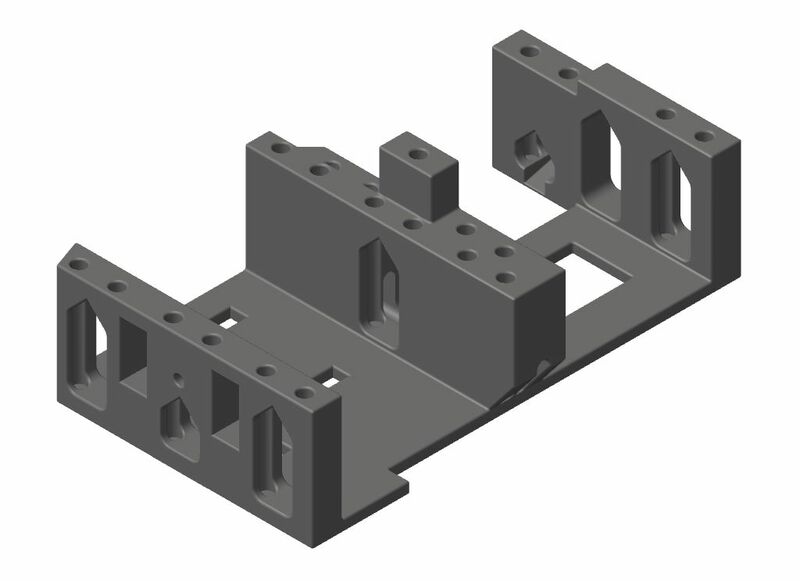 My design will use many of Gael’s original servo bed and has a printable shaft. HAd to spend a fair amount of time hollowing out the arm and wrist parts but there is a straight run for all the tendons now. Which program(s) are you using, during re-editing Gaël’s STL files ? Thanks Rodolfo and Gaël ! Later this day, I hope to finish the last things for the new Wrist DogBone shaft. I hope to upload all the STL\’s tomorrow. BTW, for the Thump I will make a other pulley. All other fingers are fine enough. I hope to upload all the STL’s tomorrow. I’m happy with this update, it helps a lot to run all the fishing lines more freely ! There is more space left for other functions. For the stress test I need to make a nice script or better just use a simple Ardiuno random sketch. 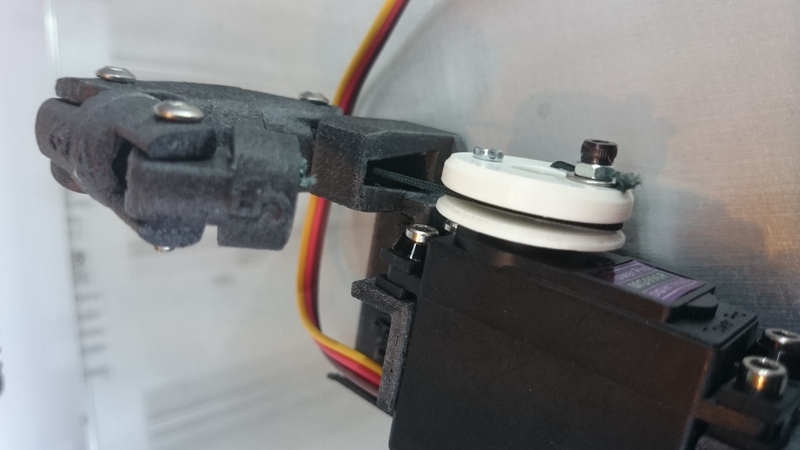 I think after this weekend I will upload all files, which are needed to upgrade the Wrist part and this includes the new ServoBed for the small servo\’s and the Wrist servo. But so far it looks good and including the springs I think it\’s safe enough to use them! Yes for sure I will include the springs which I\’m using with my Finger_Starter kit. 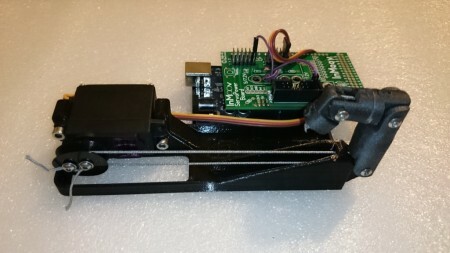 I think after this weekend I will upload all files, which are needed to upgrade the Wrist part and this includes the new ServoBed for the small servo’s and the Wrist servo. But so far it looks good and including the springs I think it’s safe enough to use them! I’ve connect all fishing lines to the fingers and the servo’s. That is awesome. No tensioning spring is the best feature! I guess you could add a tension spring like you had in your single finger tutorial. I think this is pretty innovative which begs the question what does the rest of your bot look like? Yes for sure I will include the springs which I’m using with my Finger_Starter kit. A printable shaft would be cool, I only think it’s not strong enough ! And DogBone shafts are very basic parts which are used in RC cars. Most local dealers will selling them. About the servo, in the first test video I was using a “Low Profile” servo. For some reason, these servo’s will not run with a Arduino ! Finally the new ServoBed is done and fits very well. For now I’m using a 98mm DogBone drive shaft from a tamiya RC truck. \”Looks\” nice and Cool Ivan ! The Servobed is updated, so tonight I can mount the Wrist servo and measure the distance between the small Wrist-Gear and the servo. 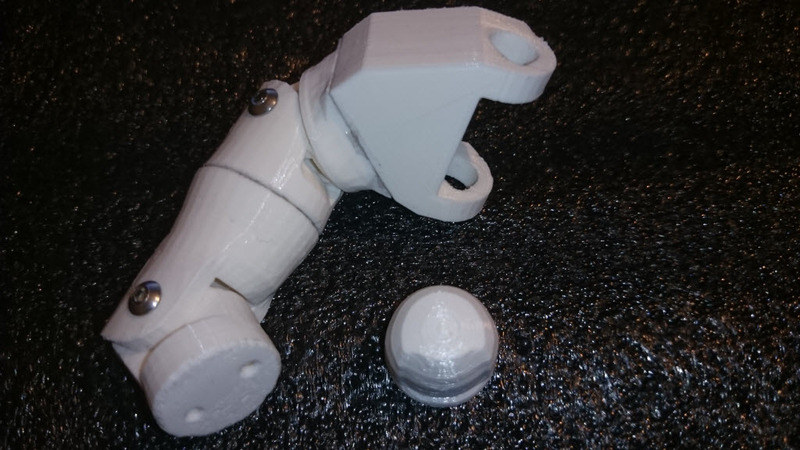 To finish this Wrist update, I only need to print the servo link. But, I still need to update some things. Like the sevobed, so I can mount the Wrist servo on it. And still some fine-tuning between the servo and the small gear. I hope to finish this tomorrow. Hello Perry, this is what happen with my new setup. The servo is placed on the finger servobed and with a axle connected to the Wrist gears. I\’ve a test setup ready now, so I will upload a video in a short time ! Thanks Gaël, to put them to the InMoov collection. First I need to finish my Wrist update, this will help a lot to run more freely ! Yesterday evening/night I’ve printed the first parts and one needs a small modification to fit better. 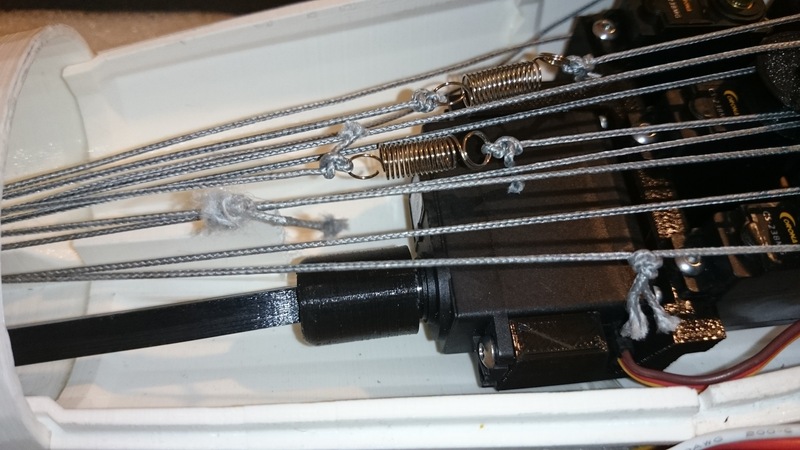 The Wrist servo is blocking the complete way for all fishing-lines. With the servo placed on the servobed, it makes it full open. I’ve decided to make new Wrist Gears to, so all the Finger-fishing lines are more in line with the servo’s ! 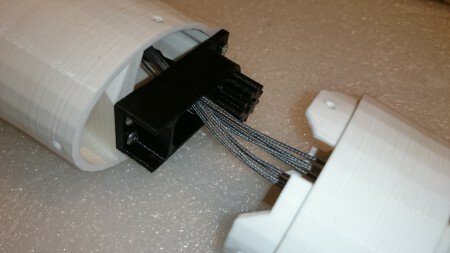 The Wrist servo will placed on the Finger servobed and with a axle it will be connected to the small Gear. I’ve a test setup ready now, so I will upload a video in a short time ! I\’m sure you will like the spring, if you hold or take a glass of wine ! Have you some pictures from your InMoov ? I’m sure you will like the spring, if you hold or take a glass of wine ! Mechanical way it looks good enough for me. 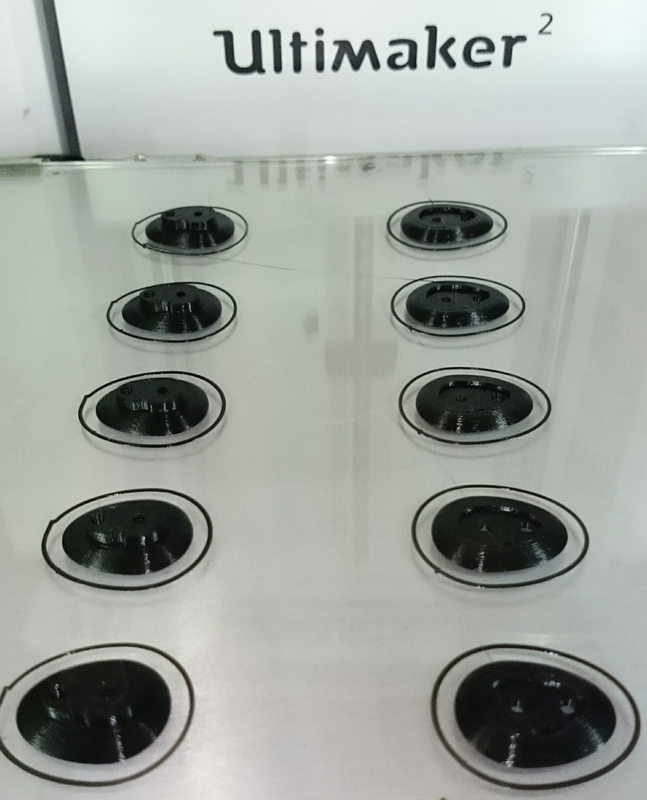 These pulley\’s will need the full 180 degrees from a servo ! Make sure your servo\’s supporting this 180 degree turn. My next step is to see, if the smaller servo\’s are strong enough for the complete InMoov Hand ! These pulley’s will need the full 180 degrees from a servo ! Make sure your servo’s supporting this 180 degree turn. 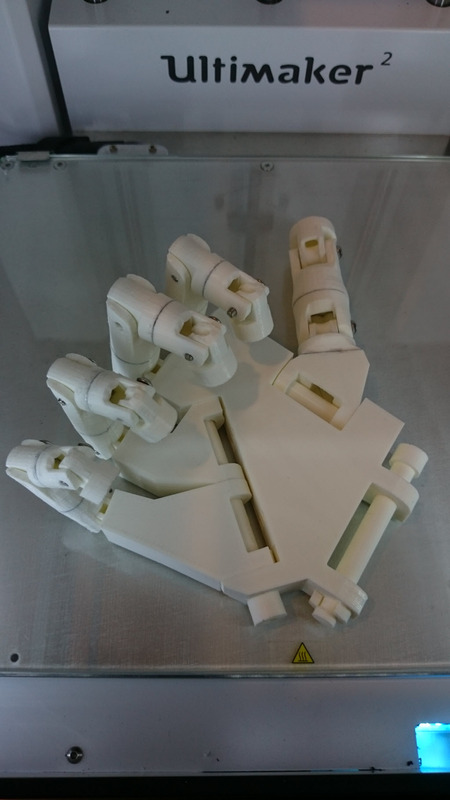 My next step is to see, if the smaller servo’s are strong enough for the complete InMoov Hand ! Great Marten! I want to see when the pulley is set in the servo bed how the servos are acting. As I said in our email exchange, I have burned so many MG996 and MG995, that I do not trust those servos anymore. I never, yet burned a HK15298. Thanks Marten for sharing! 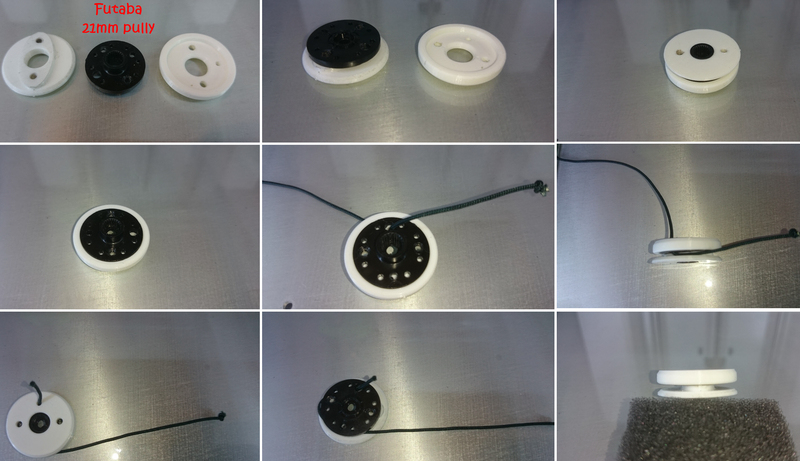 I have added your Thingiverse pulleys to the InMoov collection. Here two pictures from all MG996R servo’s and All CS238MG servo’s, to see the difference in the total weights. The CS238MG servo’s saving a 161 gram of weight and they are placed more closer to the elbow ! Tomorrow evening (after work) it’s time to assembling all things together. Looks great. Exciting. 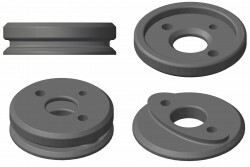 what pulley designs are you using? 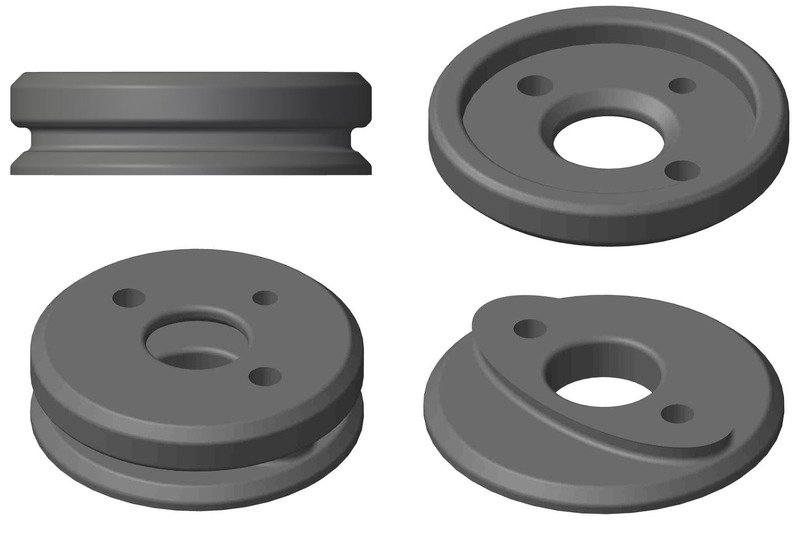 Next production are five Servo Pulley sets…. I’m almost sure these smaller servo’s are strong enough for the Hand. The spring which I’m using now, is perfect to start. If needed, I can use a stronger spring to get more torque. Yesterday I’ve changed the servo-adapter to V2 ! These are easier to mount to the CS238MG servo. So hopefully this weekend I can make a good video with all the results. And I will make a Step by Step “How To”. 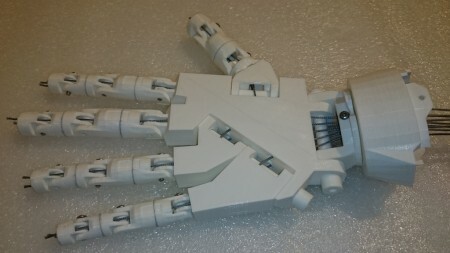 The MG996R was my first choice for the InMoov hand. The CS238MG servo weights including a mounted servo-adapter 30gr. less as the MG996R ! I made some tests with the new pulley and it looks all great ! He does, thank you, and his own exclusive 3d printer. I will have to learn to be patient! 3d printing is slow! 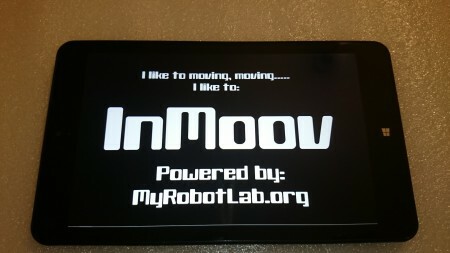 Oh man this will be the first InMoov to have his own house!! For a 0 to 90 degree turn, I need to make them a bit bigger ! These are now designed for 0 to 180 degrees. After some tests, I will upload them to Thingiverse. Hahaha, yes I\’m still using the same Carbon Finger. 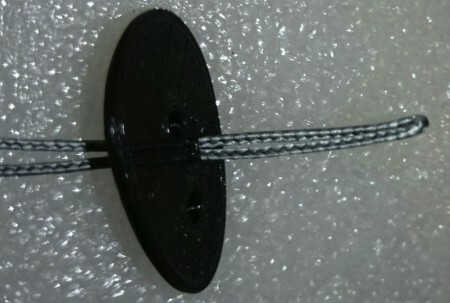 When the Finger moves to the Open position, the pulley is pulling with the small circular side. I want to test these pulleys for sure! I’m guessing it will be also okay for our servos HK 15298 which have a restriction from 0 to 90 degrees. The servo current use, stay’s very low during the test, sometimes it’s passing the 0.26A during a start. Wouuii video great Martens.Did you use your carbon filament? Hahaha, yes I’m still using the same Carbon Finger. 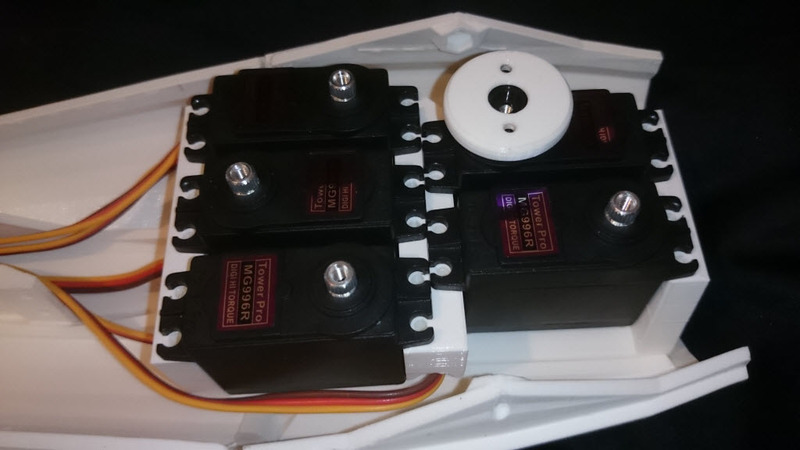 I hope to save some weights with the new servo\’s. They have three times less weight then the servo\’s which I\’m using now. And the servobed will be smaller. I\’ve done one finger with Carbon fill and is very lite. I\’m only not sure enough, if this is strong enough ! how did you print the carbon item? Layer size? Perimeters? Fill? what tensions are you using? did you try to reduce friction of the tensions? Give it a try and see if this will solve your problem. Which servo’s are you using in combination together, which gives you this “Jitter” problem ? Do you have a oscilloscope ? I think this will happen, when I get the new servo\’s because of the fit to the pulley\’s. I hope to get them next Tuesday. There are not many in or around India. I have sent 8 times Nervo boards to India. Five of those orders were dual Nervo Boards with components, so I suspect 5 other InMoov getting built in India. Finally the Arduino fits well in the updated FingerStarter_Kit. 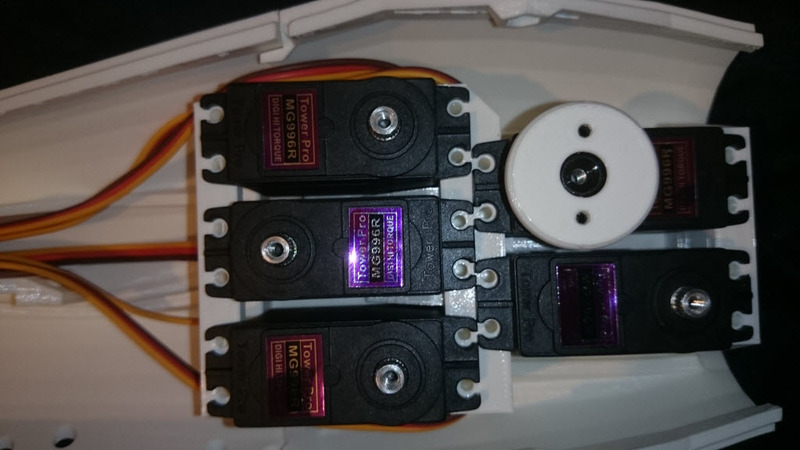 The new pulley and adapter for the small servo also fits well. The good thing is, a standard pulley like Futaba will fit. Very cool Marten! Once the finger is assembled, a little video will be nice to see! I think this will happen, when I get the new servo’s because of the fit to the pulley’s. 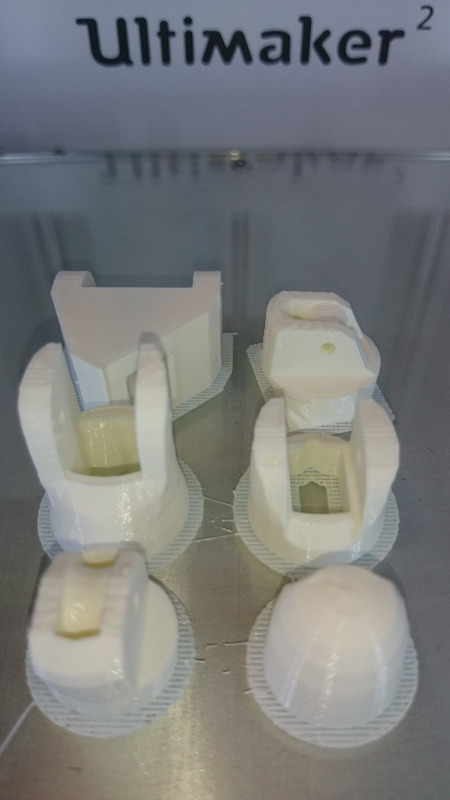 when trying to reduce the forarms weight – did you experiment with getting less weight from the printed parts too? Just had a chance to look at a fiber enforced part at an exhibition. 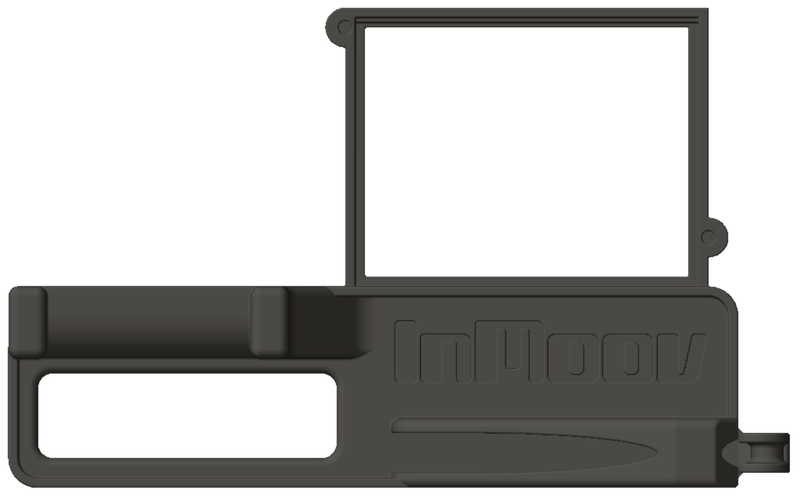 It had a thin layer of fiber on top and bottom of the part (needs 2 extruders) but showed impressing strenght. I hope to save some weights with the new servo’s. They have three times less weight then the servo’s which I’m using now. I’ve done one finger with Carbon fill and is very lite. I’m only not sure enough, if this is strong enough ! Hmm, it sounds there is something else happen with your servo connection. If there is a shortcut between the Arduino shield and the small PCB, the flat-cable will start getting hot ! Please double check if there is no connection between servo outputs 10 and 11. If possible could you send me some pictures from your boards? Thanks for trying to help me. I sent images via pvt email. When this all fits well, I will share this @ ThingiFirse including the new servo pulley ! 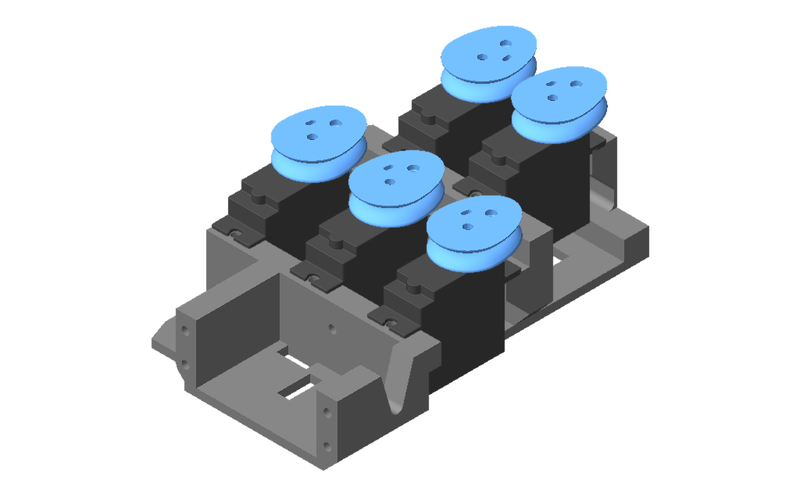 The spring main function is to safe the servo mechanical (there is no direct blocking anymore). And including my servo pulley’s, the finger “close position” gets a smaller arm length ! 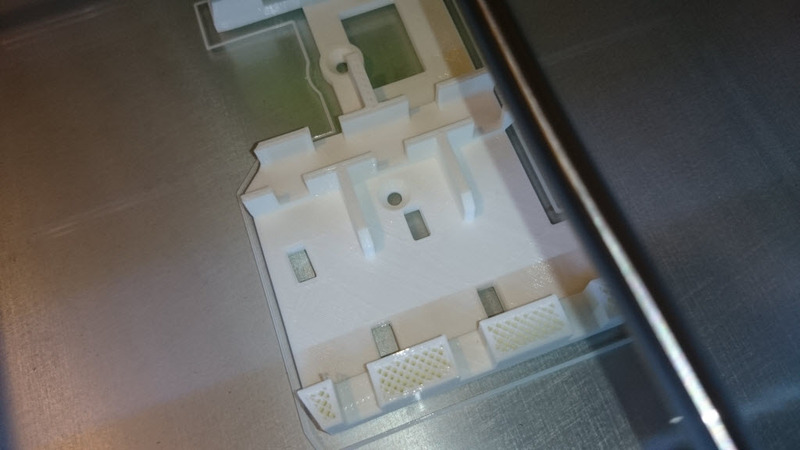 Today I’ve printed a first updated FingerTest plate, including a spring which I’m using as a mechanical Servo-Safer. Very nice module for a Finger Starter!!! Last weekend a good friend and me where asked to come to the “Mini Maker Faire” in the Netherlands. We where there “as builders” to talk with people how like to build something like InMoov. Great pictures, I hope the mini makerfaire was a lot of fun!! Thanks for sharing your experience with the NervoBoards. First soldering the headers to the Neck and Head plate and after to the NervoBoard. Normally it must be fine to solder them without any problems. @mdg_nl. The solder tends to flow to two of the three pads. Maybe when there is a little offset in one of the three solder areas it could flow better. The bigger solder areas have a 90 degree angle and are easier to solder. Ahaha! the blue note! It’s going to make your wife even more jealous! Awesome Gael and thanks for the files and the tutorial. Thank you Gaël , i cant wait to start the head ! I\’m sure, Robyn will enjoy this new tool to. This has the same results and is smaller ! I hope the price is the same like the Pixy cam. Option is to ask for a sort camera-shield mount option. @Marten, As you mention in private message the OpenMV could be a nice option because it is python based and Open source which could be easily added to MyRobotlab with no need to use an extra Rpi. 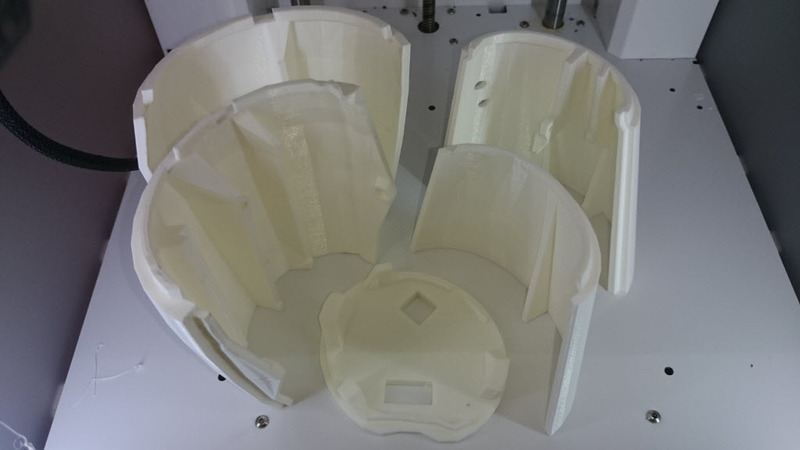 This week I will receive my new _XT filament from ColorFabb. I hope it’s a good filament to use for most InMoov parts, even for the shoulder mechanical parts. Well the hercules HD does a good job as far as what I do with it. But as I said it would be ideal to have a board for post processing things like tracking, face tracking, object color detections to let the computer do other tasks. You need a kinect from a xbox 360. I don\’t now if MyRobotLab works fine with a BeagleOne. 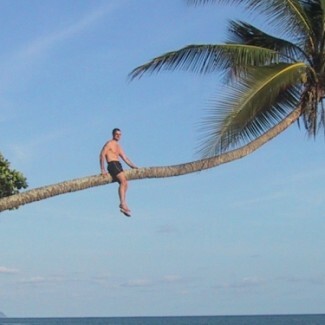 Looks good Anthony, I think only you need to start the fans from a higher layer ! I see a lot of warping at the bottom side, this happens when the PLA is cooling down to fast. 226° is a high temp, the UM2 has a lower temp as the display is showing. Sometimes I set the temp a bit lower, after the first 10 layers. Do you have a picture from your end results ? If yes, it good be handy to give a better advice where it go’s wrong. ok I start at bigger temp too it better to attach bed . This is it : ( the middle is already glued ) : http://lerendezvousdelaterre.com/tmp/piston_cut.jpg . Also check that the print bed is close to the nozzle. If the distance is to far, the first layer will not stick well to the bed. The first layer should create a solid piece of plastic without gaps. I\’ve seen the video and the results are perfect ! From a math point of view, an excentric pulley will work very different. With two tracks, it’s just linear movements. The excentric can only work between very limited angles. With two tracks, you can rotate any angle. The ratio will still be the same. great Marten ! i will try reduce print speed with 100% infill . 226° is not too hot ?? I use simplify3d no Wall Thickness settings just perimeter shell . As you can see at the drawing, there is a normal sized part (left side) and a smaller sized part (right side). For the smaller side (with a oval form) you have to play to get the correct length you need. I hope this will give the option to monitor each finger. As you can see, the value isn’t straight (it’s now a pulsed signal) because of the 50HZ servo position update/feedback timing. So, finally my UM2 Fan upgrade is done. Next week I will go further with the servo pully’s including the springs. I hope your idea will work without any problems. I’m a little bit afraid about this, because InMoov is hard Fixt to the Oxboard. This makes it more complex to find a good (mechanical) solution, to control the Oxboard. I’ve replaced two servo’s more to centre, to get some more hight. I’m almost finished with the last RotaWrist parts. When these are ready, I need to check the RobCableFront part. I need to (re)move some holes in this part. Last night and today I’ve printed all the RobParts. Now I’m printing a new ServoBed and tomorrow I will start with all RotaWrist parts. 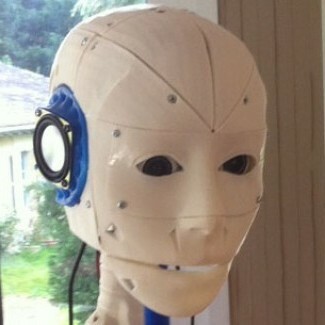 Cool and sure, MRL deserved it to get placed at the shoulders from InMoov. I hope the forearm is ready in about two day\’s. 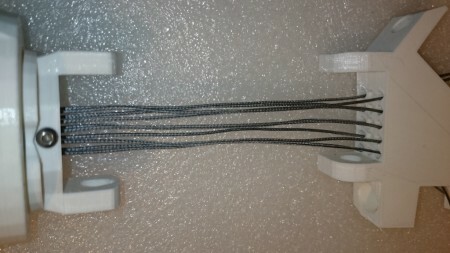 Next day\’s I will check all the lengths which each finger needs to lift them completely with the new servo pulley. So I can start re-designing the pulley for each finger. Just checked the hight and it fits fine. I will upload more sizes later these day\’s. I have added it in collection of derivatives. 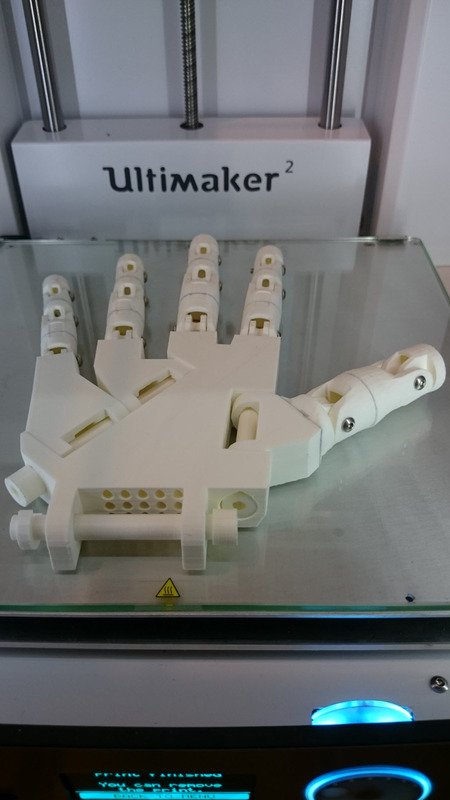 So, during some spare time this day’s, I’ve printed a complete Right hand. 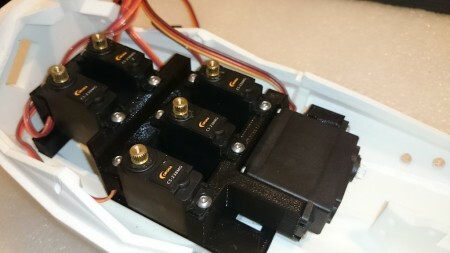 My next step is to start with the Right underarm parts, so I can install all servo’s and connect these to all the Fingers. Nice prints! Well now the forarm and you just about ready to have a Right hand! I hope the forearm is ready in about two day’s. Next day’s I will check all the lengths which each finger needs to lift them completely with the new servo pulley. 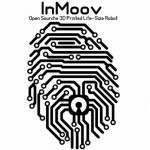 This looks awesome dude, great work and a cool upgrade to the InMoov ! Ah perfect! Hey but you can add comments? So it works now for you the community? And good to now about the limited thickness. I will check this when all underarm parts are done. There is a easy way to save some hight if needed, I can include some holes for the two screws. The elastic cord is a basic peace which you normally will use for clothes. It’s now just to do the job of the spring. I’ve ordered some springs and have to wait they will be here. Here a video again, with the new servo pulley which is specially designed for a Finger movement. 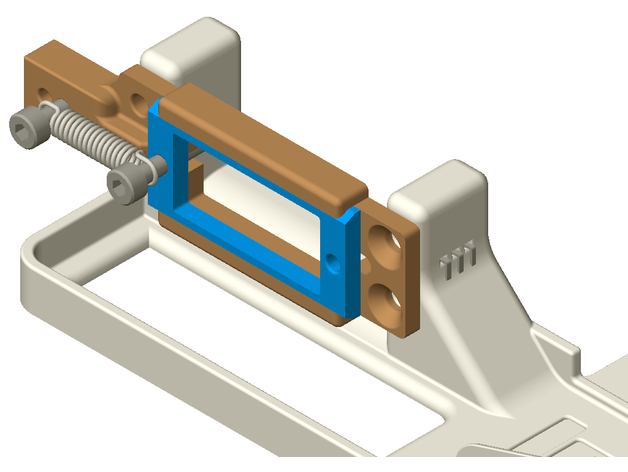 It’s designed for servo’s which can turn a full 180 degrees. This Pulley gives a better torque and there’s less change to move to much to destroy the servo or finger. So the white is the elastic cord and it runs all the way to the end of the finger, if I juge the white spot at finger tip. What kind of elastic cord? Don’t you think it will stretch more and more over time? 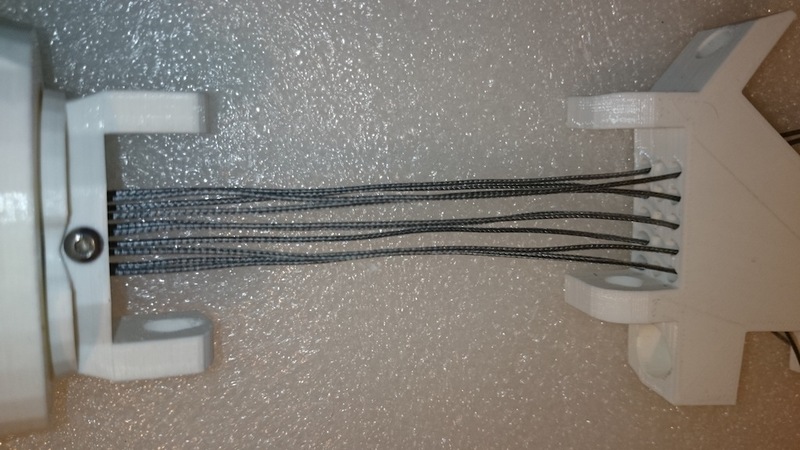 I also can see the asymetric effect on the black braided line. Interesting design! I like the idea to set the servo horn within the pulley. They might be a bit too thick to fit under arm covers though… Let us know. Sounds interesting about the linear resistor position feedback and the camera / google image recognition. Thanks for your input about this. The good thing to use a 180 degrees pully, is that there is less change to break any mechanical parts. A other good thing is, there is a higher resolution to place/hold the finger at his position. Have you seen my Finger Starter video ? Agree that individual pulley’s for your combination of servo and finger would be safest for builders. Just go 0 to 180 without having to worry about limits. I am rather the software guy and think – once the mechanical part looks good – I can control movements with the mapping function of MRL. I’ve made a other servo pully. I hope to get soon the springs because they are needed in this design. I think before changing the pullies we should agree what the mechanical requirements are for the fingers. Springs will the best/easiest way to solve the problem. I will use this Pully, including a spring to let the finger go down again. Not yet, I first like to now if everything will fit well together. If yes, I will place it on Thingiverse. I\’ve seen the two other designs, but all have the same thing by some servo mount places. just started to print the ServoBed Part. By some servo mount places it wasn’t the best way to print. Did you post it on Thingiverse? I’ve seen the two other designs, but all have the same thing by some servo mount places. I\’m sure it will be a EyeCatcher ! Thanks for sharing your code to. The best way to use this sort sensor, is to include a servo slow (step-based movement) which I have included in my code. The code what I’ve shared isn’t the code what we need right now. It was just to test the reaction from the sensor as I showed you in Eindhoven. I always like to see videos, they tell so much more than words! That carbon filament is great looking! I did make a Arduino script when I was testing the carbone foam sensors on the finger starter. I’m wondering if I still can find it in all my data. It could maybe help you or others, as I recall it was a bit of a different approach. Haha, yes the video is good for all the joint parts. I was more focused how to glue all fingerparts together like part-1 with part-2 etc…. CarbonFil is PET based and PET is difficult to glue normally. I hope the 30% of carbon-mix will make it easier to glue this together. The CarbonFil is more PET based ! And yes, it’s nice material to use but it needs some attentions for the first layer. The thing what I hope to test, is that we can use smaller servo’s so we getting less weights in the Arms ! For a first print it looks very well printed. I think it\’s good to start with the Finger Starter kit so you can start playing around with MyRobotLab during all other printer actions. Thanks Marten de Groot! I will probably start there. I have got the servos ordered. So, just finished the Finger Support plate for the servo and the Arduino board. I hope to have some spare time tomorrow to buy some glue for the finger parts. For the servo I will draw a smaller pulley so the servo can give more torque with less power. I like that Carbon PLA. I remember the parts you showed me in Eindhoven, the quality was very good! 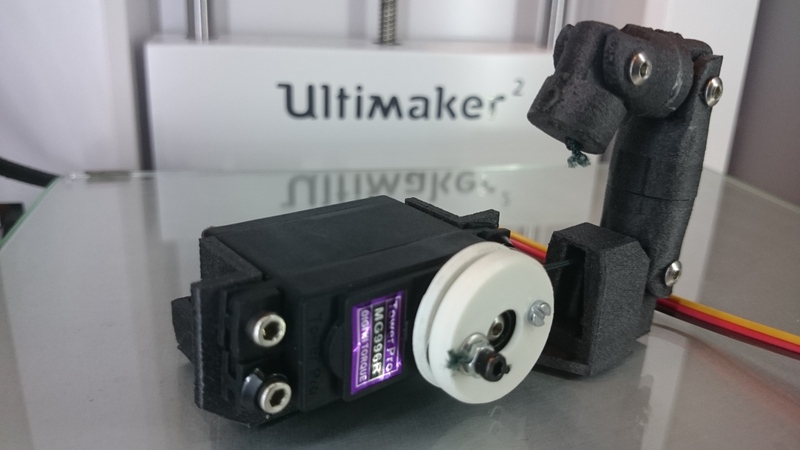 Pulley rotates 90 degrees because the HK15298B digital servo recommended for the hand rotates only 90 degrees. I’m still using the standard clean glass plate from the UM2. After each print, I’m cleaning the plate directly when it’s still hot. For CarbonFil I’m using a temp from 255 C and the heated bed is set to 60 C.
I’m still playing with some settings. I think I will sit down and create a video about my finger assembling techniques including the strings. Watch out for it. I don\’t now yet with the fingers. The CarbonFil is great stuff and feels strong. I\’ve used this to make some prototype parts for my Camera Gimbal. For now I\’m still waiting for advice about which glue I can use for this CarbonFil. thanks for your comment. 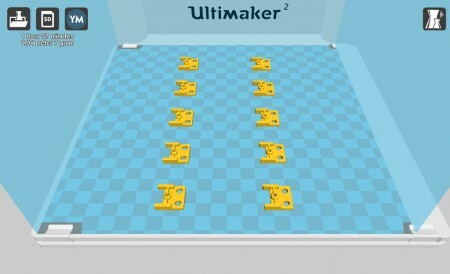 What is your print bed made of and what temp / preparations do you need to make the pieces stick to it? Just finished the last finger pieces for the Finger Starter Kit. 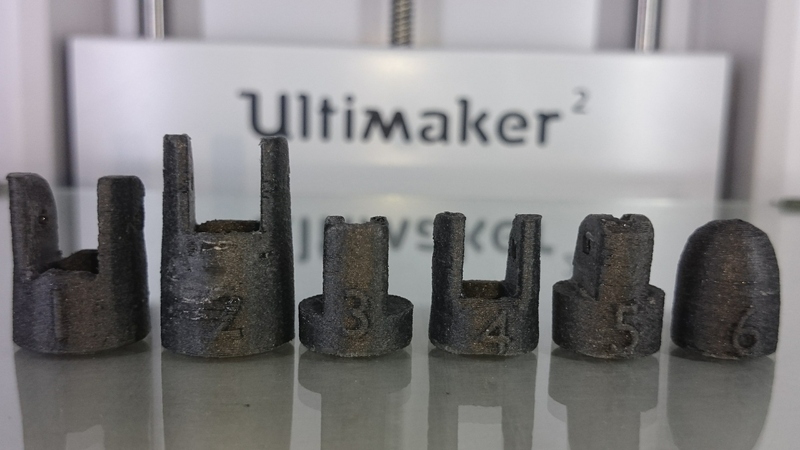 All are printed with CarbonFil with a 0.2mm layer hight. I give a filing to the finger parts where they move against each other because the printing in layers creates imperfect vertical surfaces. I don’t now yet with the fingers. I’ve used this to make some prototype parts for my Camera Gimbal. For now I’m still waiting for advice about which glue I can use for this CarbonFil. I got the same trouble. Happily with abs it can be repaired quickly with acetone. Some times after I found this tip, just heat to smooth the holes. 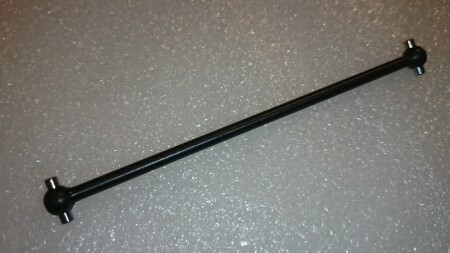 It looks like Mats Önnerby tips with airgun to mount pla parts but with a solder iron. In the video posted by Sebastien, the idea is great! Specially if you drilled the holes a bit too wide. But be sure that finger stays loose, in the video they are stiff, rigid, and that is not okay for the movement. The finger should move freely at each joint. 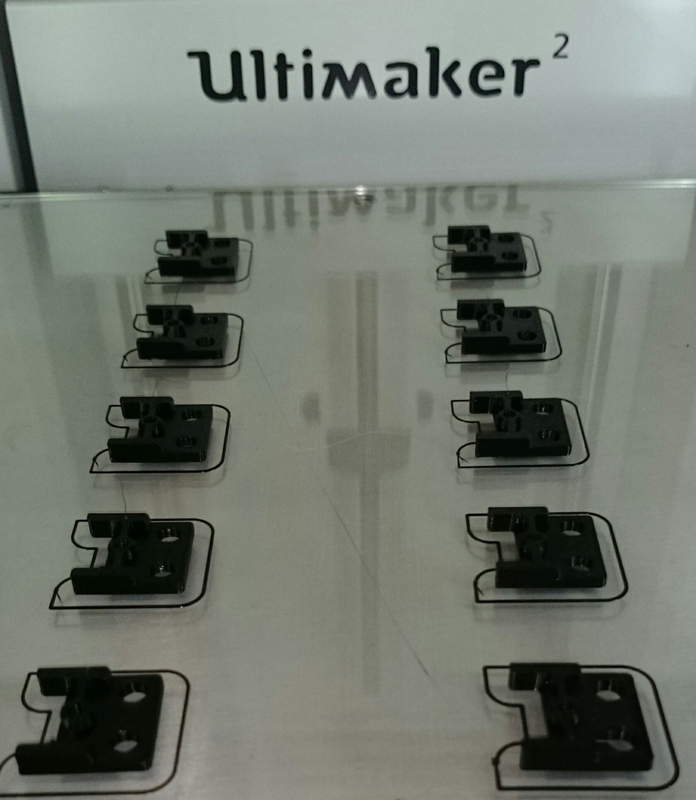 It’s no problem to print it myself, it’s a good test for my new UM2 configuration. I think there is a easy way to place a magnet in the top from the Vingers. This peace is printed in two parts, so I can drill a hole from 2mm in on of the parts. I hope soon to start printing this. Before I start with this, I like to upgrade my UltiMaker-2 with a new 3DSolex Olsson Block and a BuildTak 3D Print Surface. I also ordered some extra Nozzles for this Olson Block. – One RVS 0.4mm for printing with CarbonFil. Woouiii you are going to make wonders with that printer! 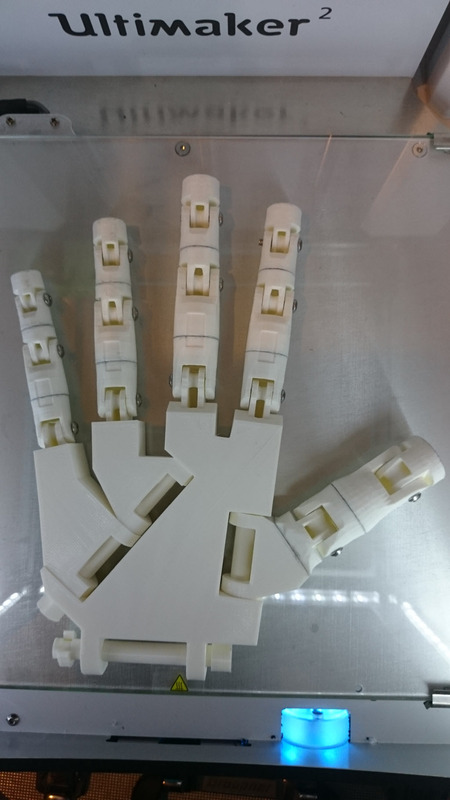 You should have told me when we were in Eindhoven that you wanted to build the hand to make some tests with the hall sensor, I could have brought you one that I keep for my robot in case it breaks.